Kodu Game Lab: Make your own worlds Review - GameSpotting! Categories: Gaming, Review, Site, Xbox360. The community games feature of the Xbox 360 tends to be plagued with unwanted games and stupid massagers. Not to say that all community games are bad (I personally enjoy the ones that actually have put in a bit of work into them) but there is one game that shines as a great example of the community games section of the marketplace. That game is Kodu Game Lab. Created by the team at the Microsoft Research Labs, Kodu is a super simplified version of any old map editor (except you can also add scripting to the map without having to use any other application). It strives to be easily accessible and feature tons of replayability through allowing the player to make more stuff. Kodu, while a tad limited, is so accessible I would say that it’s right up with commercial game editors. 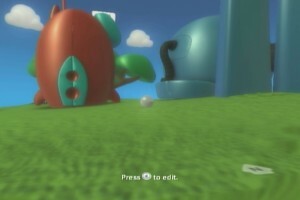 Kodu basically allows you to create games in the form of map files that include AI and level scripting. 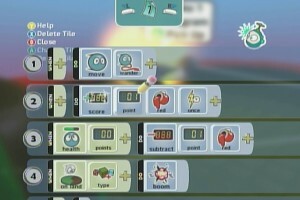 The best feature, the very very very very best feature of Kodu is the Sharing system. Most games that allow content creation tend to be very limited in sharing. For example, Trials HD only allows you to share your tracks with only your friends and only those that are online. 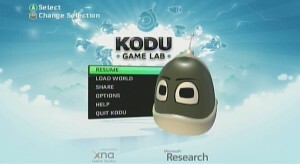 Kodu Game Lab figures that most people will not have friends that also play this game, so there are three default gamertags called KoduZones. These gamertags act like community bulletin boards and allow you to upload anything that you’ve made to the tag. This allows others to download your content without you having to be online. The Kodu community feels so open and friendly, just patiently waiting for you to upload some of your works. The one thing that makes the community so special is the fact you can’t rate other people’s stuff. Which is probably a good thing. But to make up for that, Kodu automatically creates thumbnails of all the maps so that you can decide what you really want. Kodu is limited in how many things you can have on the map, I would think it would have to be because of hardware limitations, but I can forgive Kodu for such problems. 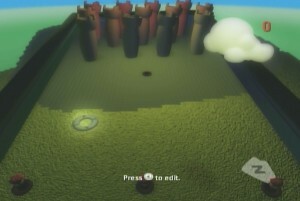 Kodu does a fairly nice job at keeping the game open. I’ve seen Halo remakes (that are actually really good), Left 4 Dead (not as good as the halo ones), racing games, top down fighters, football simulators, Zelda remakes, Portal (with dynamic portals) clones, and much much more made in Kodu Game Lab. Kodu comes with a bunch of maps and tutorials right in the box, and it makes it totally worth the 400 MS points I paid for the game. My main gripes about Kodu Game Lab are that it tends to lag with lots of objects on-screen, and sharing/downloading new maps can take a very long time. But other than that, Kodu Game Lab definitely deserves a recommendation. If you have 400 MS points to spare, I totally suggest getting Kodu. What I wouldn’t suggest is playing the trial, because the trial is extremely limited (blame MS’s XNA community guidelines) and you won’t experience the feel of the game. Some people say that Kodu is baby’s first game maker and I have to say that’s not entirely true. Kodu is focused on just making games and introducing people to the concepts behind game flow. Just because something is simple and friendly doesn’t mean it is childish. Kodu is for people who have never programmed before and always wanted to make a game. It’s for people who have programmed before or want to make something quick and easy. Kodu Game Lab is practically for everyone.